Recently, I purchased a few things from Ralo Cosmetics' online store. I was SO impressed with the service, I ordered my goodies late the Tuesday night and first thing Friday morning my package was delivered to my door. My package included a few nail polishes and because one of the polishes I ordered was out of stock, they sent me a replacement polish plus two free polishes, which was such a nice surprise. Today I am going to do a review on the polishes, I've had a lot of fun playing around with them. First of all, I really like the brushes, they're good quality and they make applying the nail polish so easy. The brushes are all wide, so 2-3 strokes is all you need to cover the entire nail. I also like the formula, it's thin and easy to work with and it dries very quickly. All of these polishes except the coral one, are sheer. So you need at least 3 coats to get the colour you see in the bottle, Which is a bit inconvenient for a mom who doesn't have a lot of time to paint my nails. However, I do feel that the quick drying time almost makes up for the extra coat. As far as lasting power is concerned, all of these lasted one day on my nails. Which doesn't sound like much, but honestly, this is the standard lasting time for me. Most nails polishes, regardless of the price only last one day on my nails. It's a mystery as to why my nail polish won't stay on, my friend (and nail tech) told me I have oily nail beds, perhaps that has something to do with it. Usually the same polish that chips and peels off my nails after a day, will stay on my mom's nails for a week. First up is this gorgeous glittery pink (number 4, Silver Pink). The top left photo is after 2 coats, the one on the right is after 3 coats. 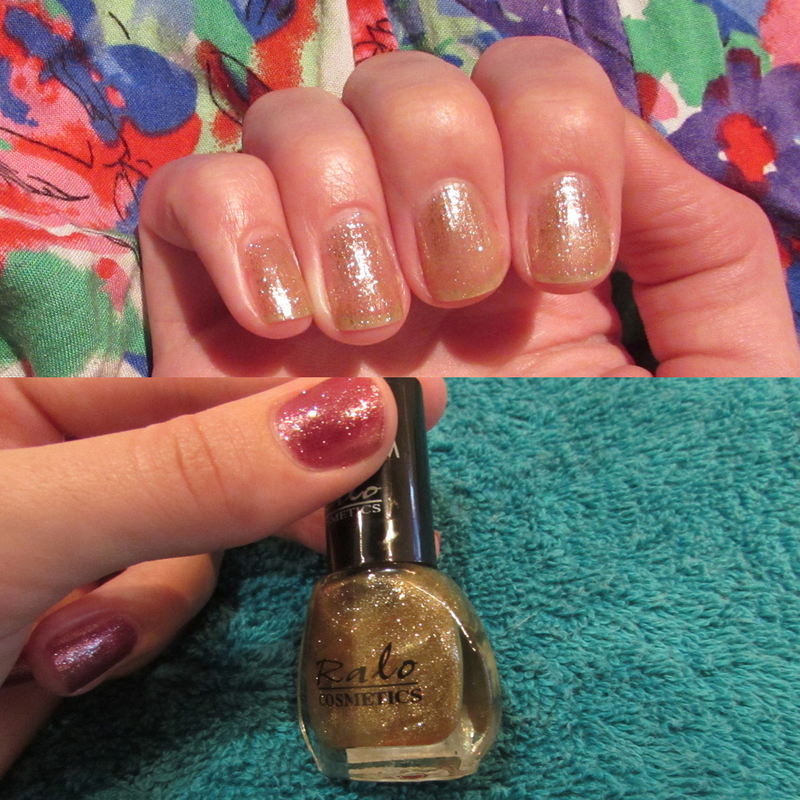 I love this nail polish so much, it's absolutely stunning, I just love me some sparkle. If it glitters, I need it in my life. As you can see on the bottom photo this polish has fine flecks of silver glitter in, but somehow it looks rose gold to me when I'm wearing it. This is Sorbet Pink, number 42. This is my least favorite polish of all because it's very streaky, you need 3-4 coats. The colour is very pretty, such a soft, baby doll pink. But, in my opinion it just takes too long to get a nice finished result. I love, love, LOVE this one! It's Glitter Gold, number 6. In the picture below I have two coats of this polish, applied onto bare nails. I wouldn't wear this polish on it's own like this, because as you can see, it does make my nails look quite yellow. But on top of my regular polishes it is just magic! I know I'm going to get a LOT of use out of this one, especially now over the festive season. This is the baby pink with the gold glitter polish on top. It makes it look so much prettier, still, more trouble than it's worth and I'll be giving the pink a skip. I couldn't find this one on their website, and the names aren't on the bottles - there is only a number, so this is number 67. This is like a maraschino pink, it's one of their Glitter Glam polishes, but I wouldn't call it a glitter polish. It has more of a metallic finish. 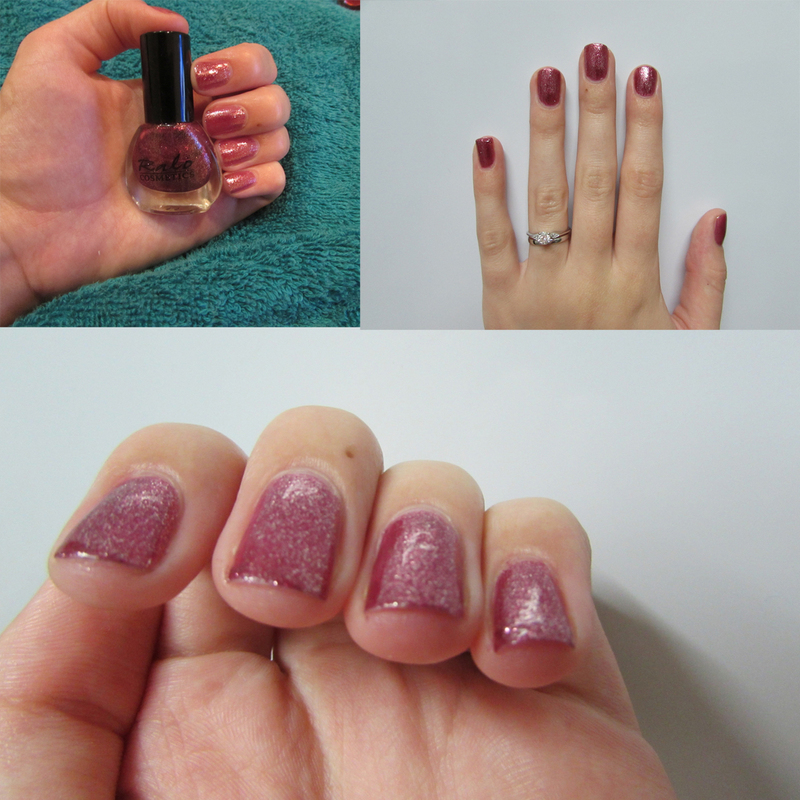 I really like this polish and I love the colour, I just don't think it looks good with my skin tone. 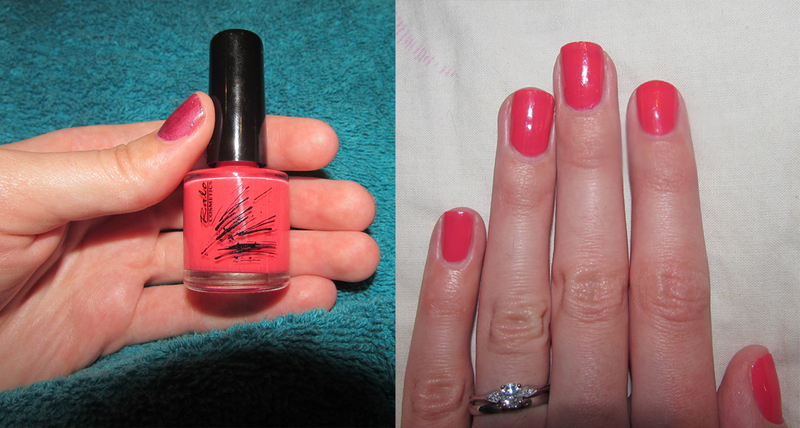 The last one is the Colour Blast polish in 27M, Peach Pink. This one is so lovely and very opaque, you can almost get away with only one coat. It's 10ml and retails for R29.50 . I would say it's more of a coral than a peach, but that's just me ;) . It's such a fun, summery colour and I look forward to seeing it on my nails often. I ordered an eyeshadow palette from them as well and I'll have a review of that up on the blog soon. Overall, I would say you should definitely give this brand a try - I think it's great value for money. 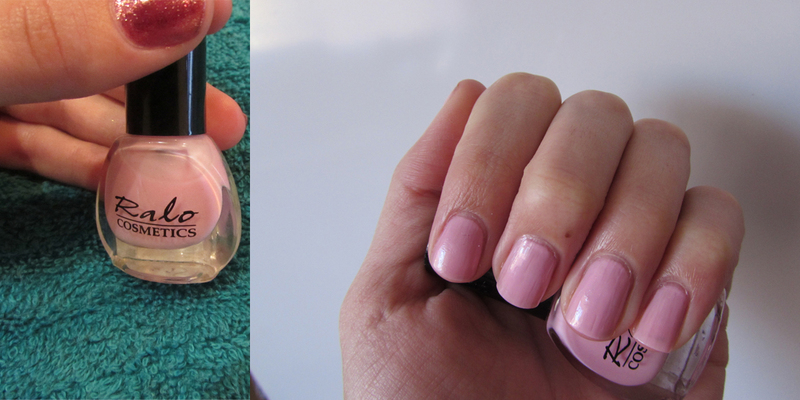 Love your reviews :-) The peach pink really does look lovely on you nails.